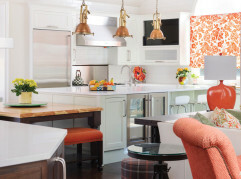 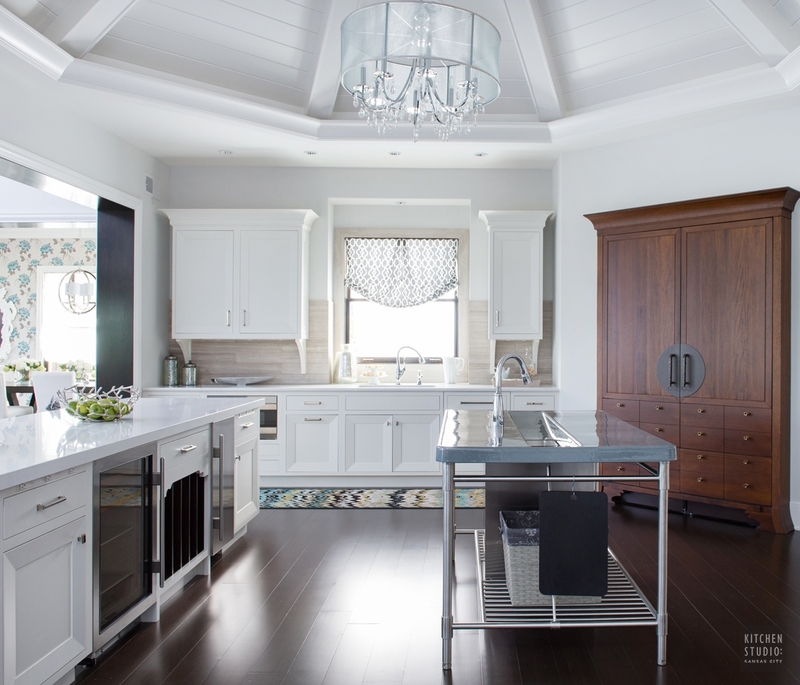 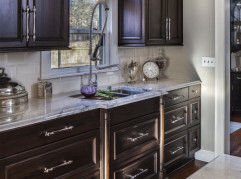 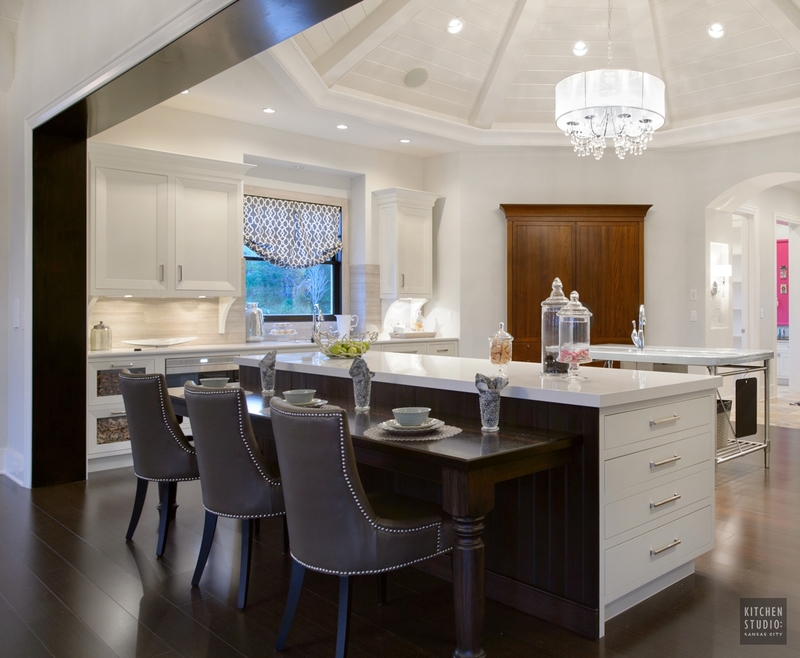 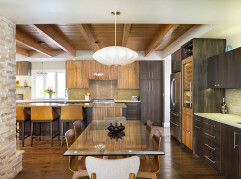 Crystal Cabinetworks and SieMatic cabinetry mix in this entertaining kitchen. 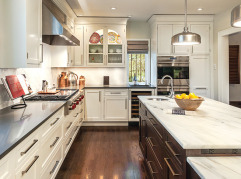 The clean painted cabinetry jump of the dark bamboo floors. 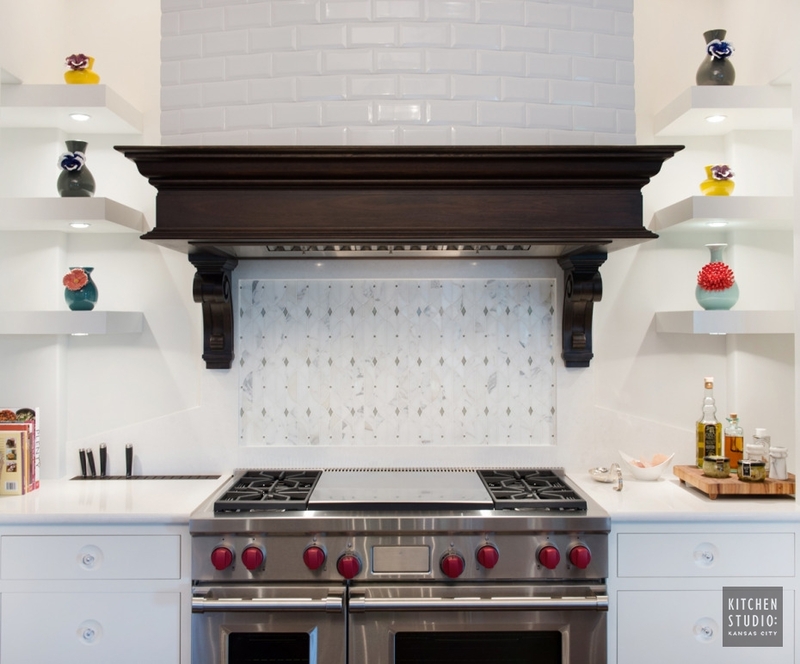 Custom mantle shelf and tile hood set off the range alcove.